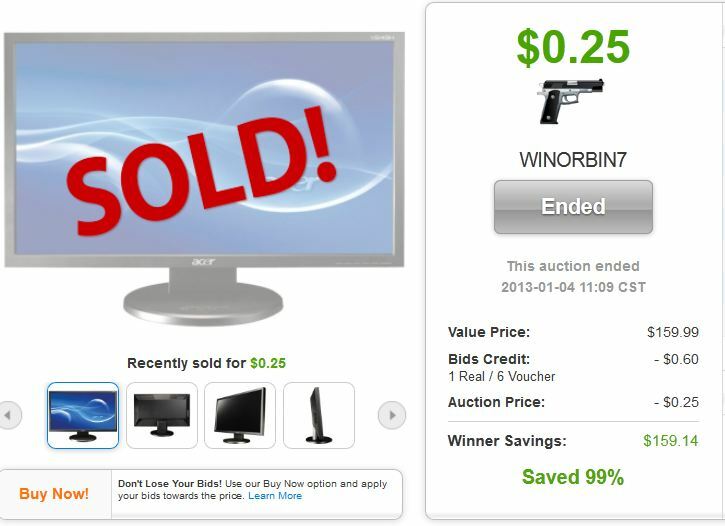 We’re always finding people online who don’t think QuiBids auctions are legit. 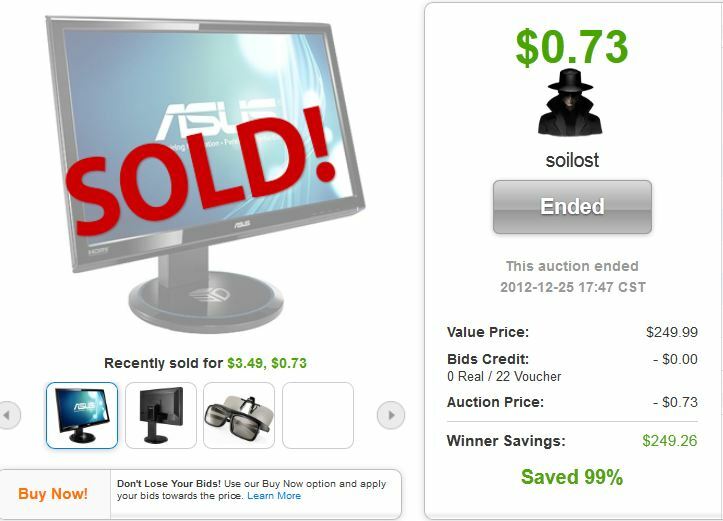 It’s understandable. 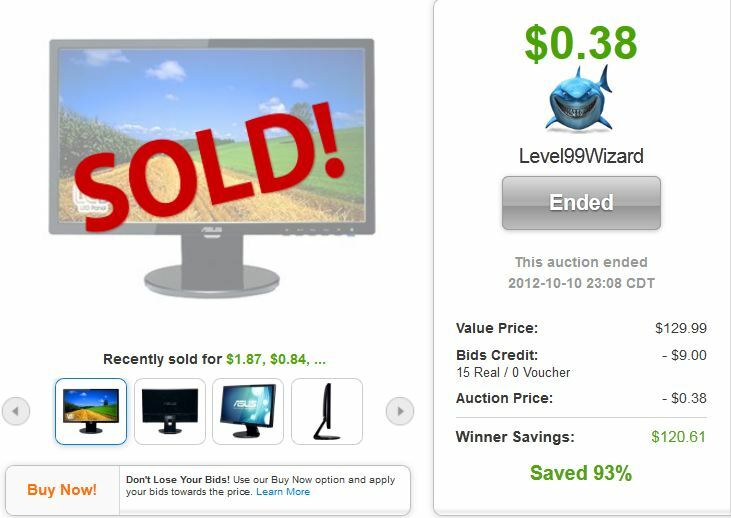 You’d have to suspend reality to reasonably consider a company selling top-of-the-line electronics at 90% off what everybody else is. 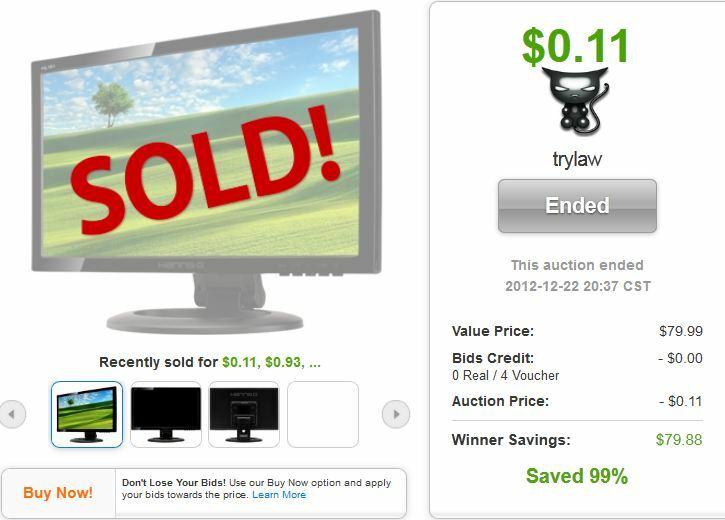 But QuiBids auctions are a rare breed in that those who study them carefully and learn how they work can reap massive rewards. 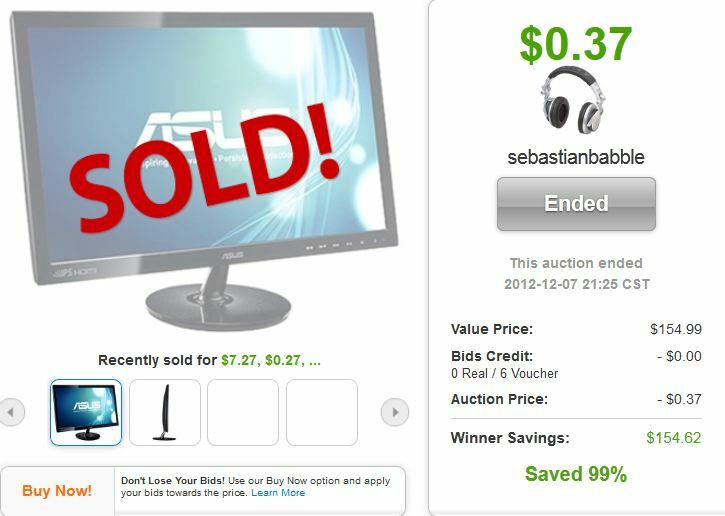 Sometimes as massive as 98-99% off. 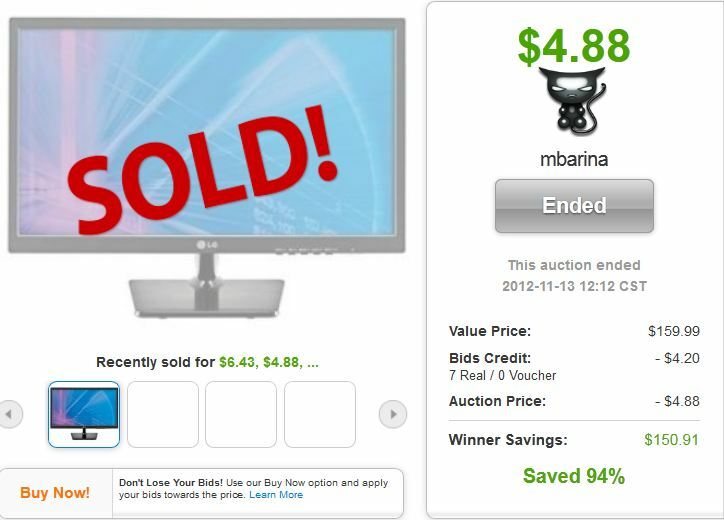 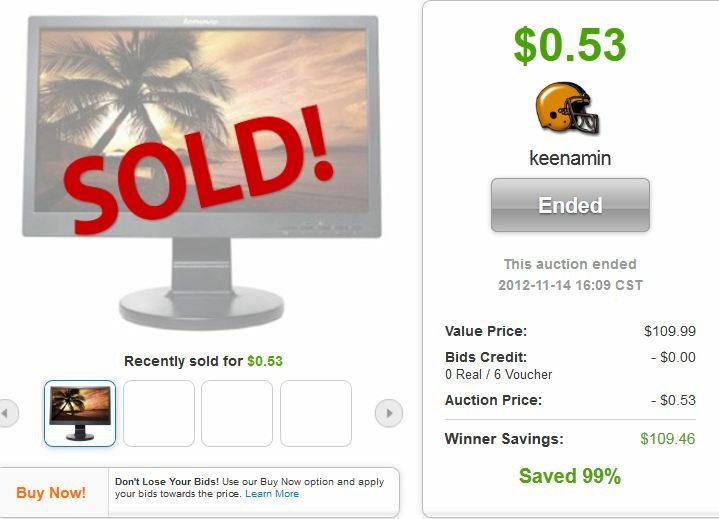 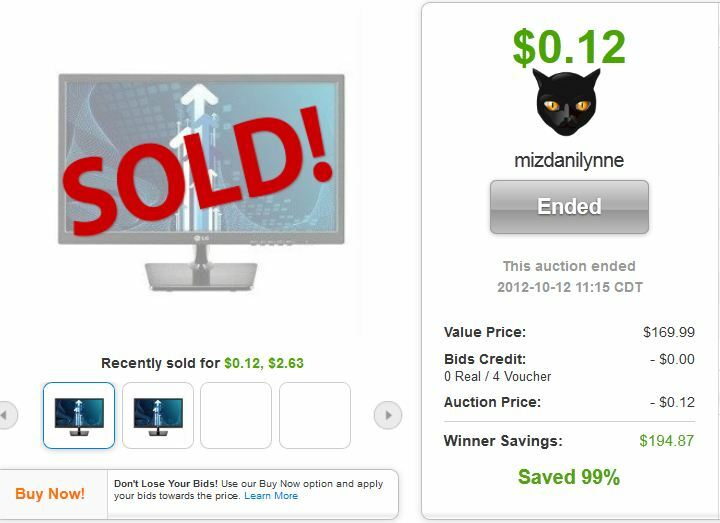 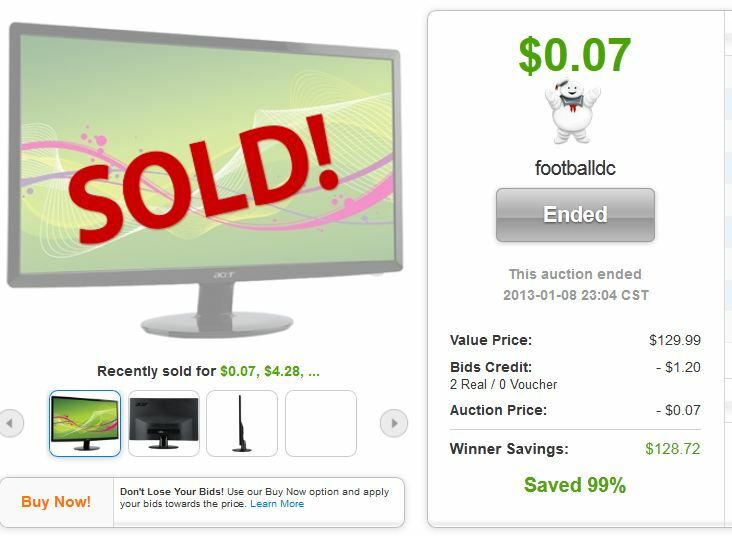 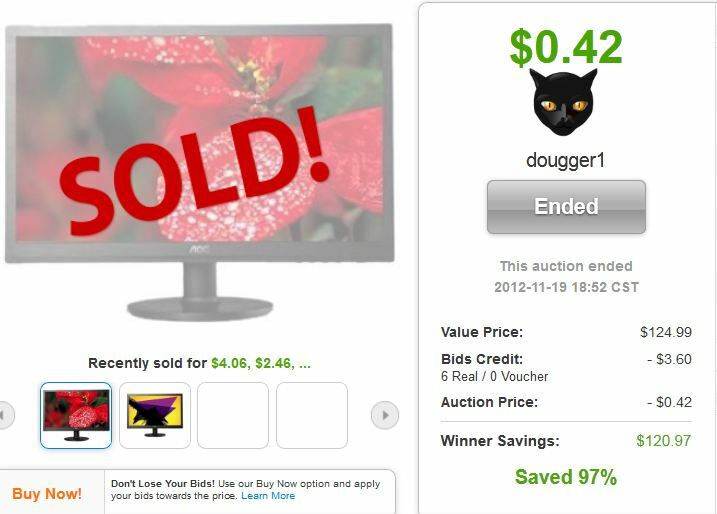 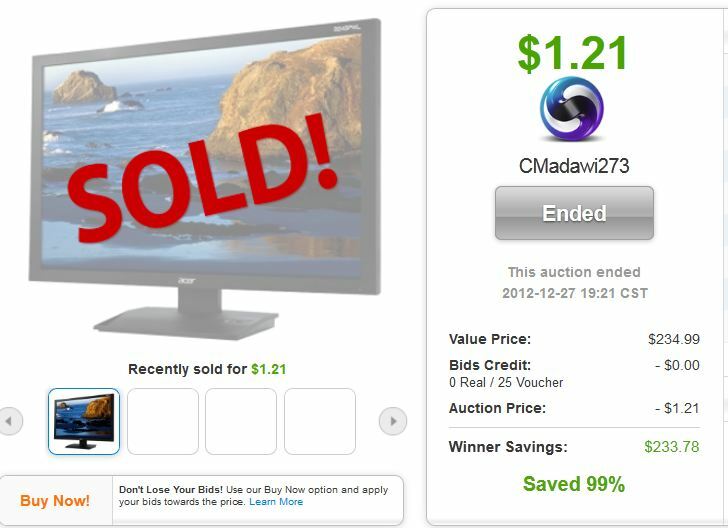 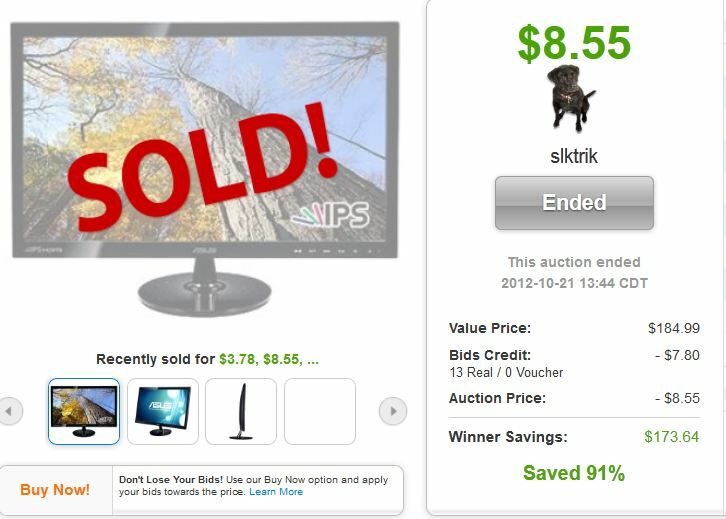 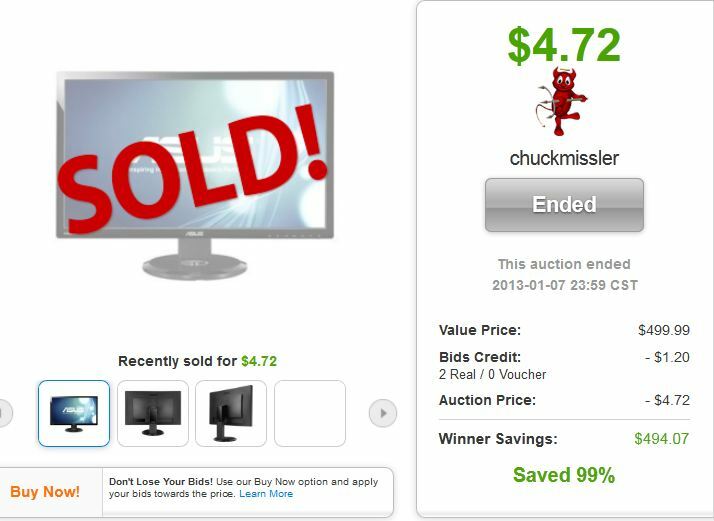 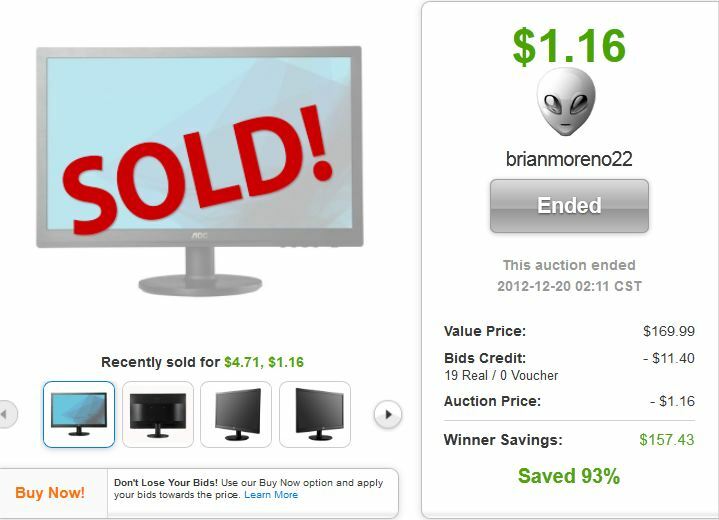 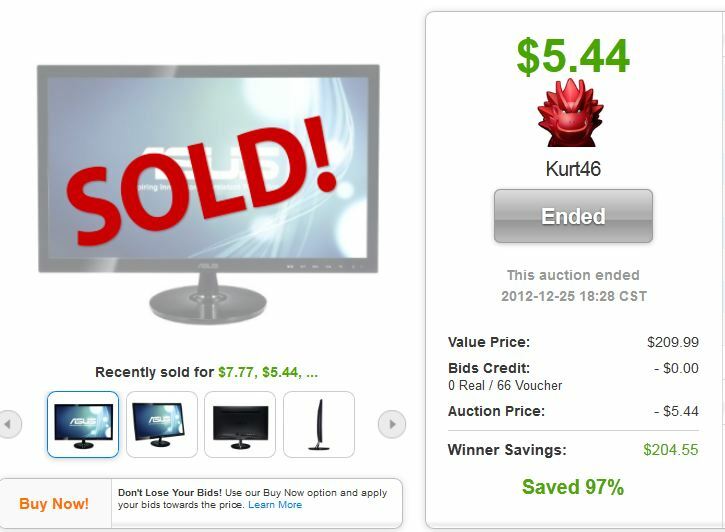 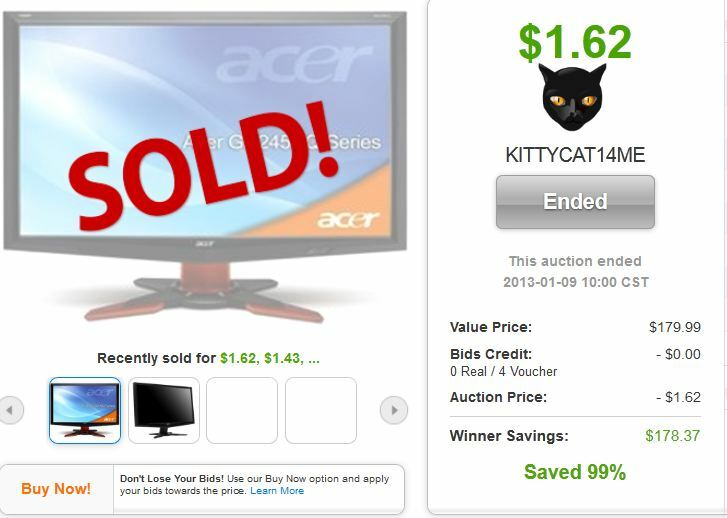 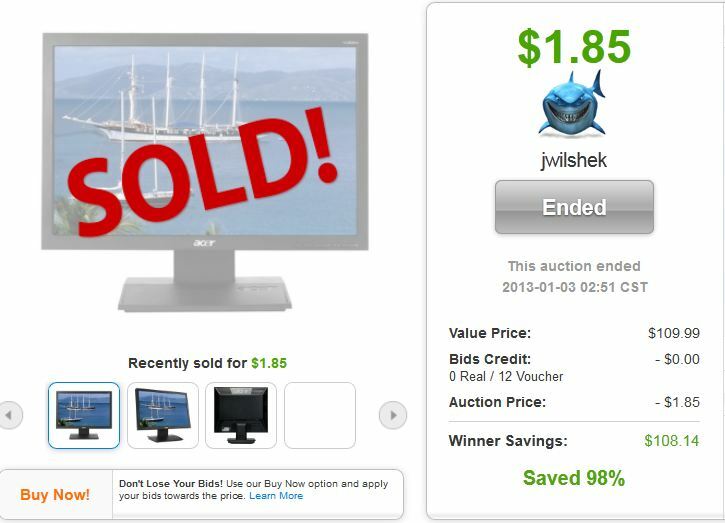 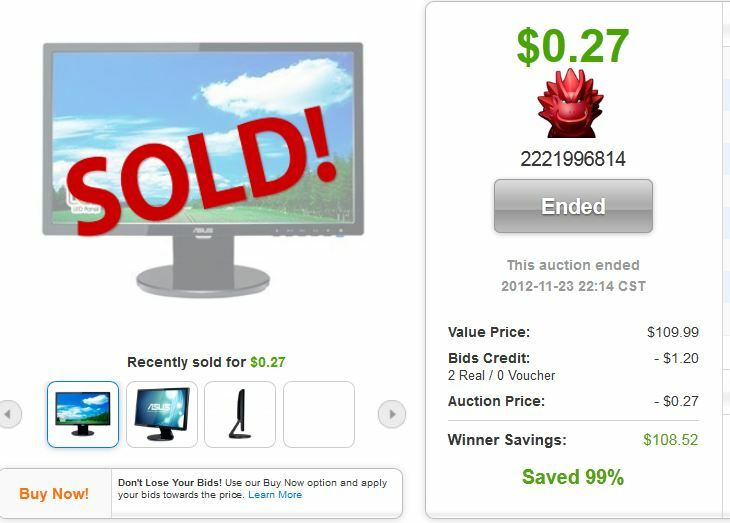 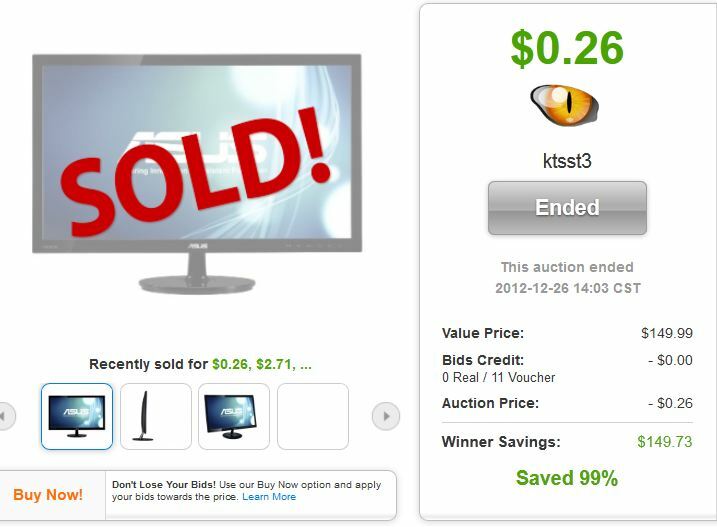 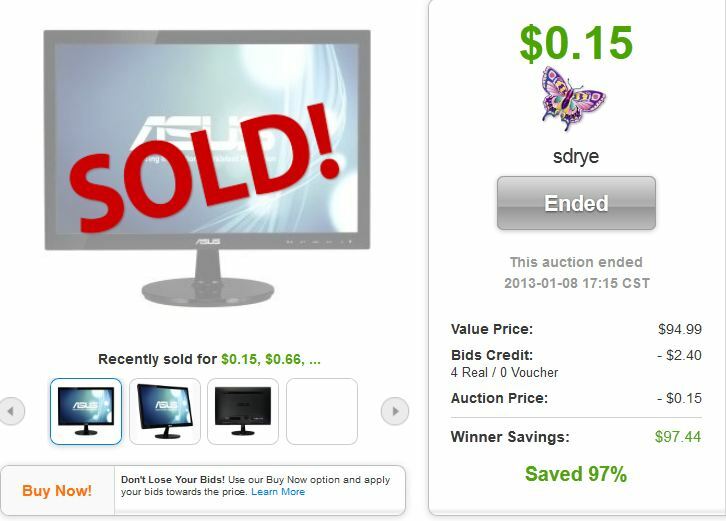 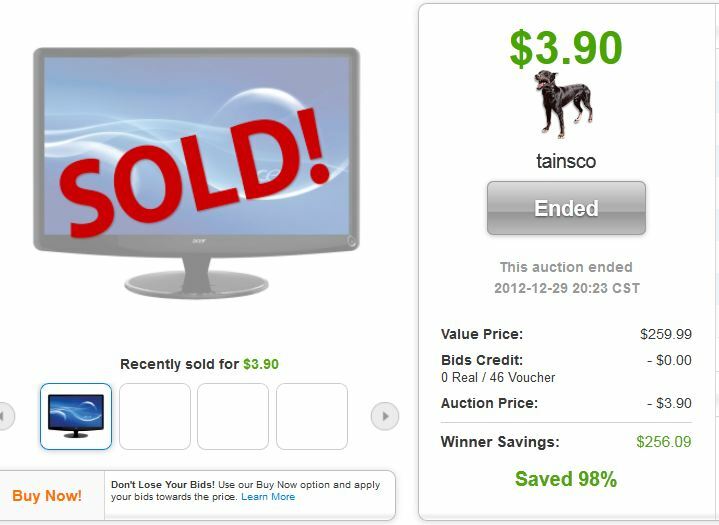 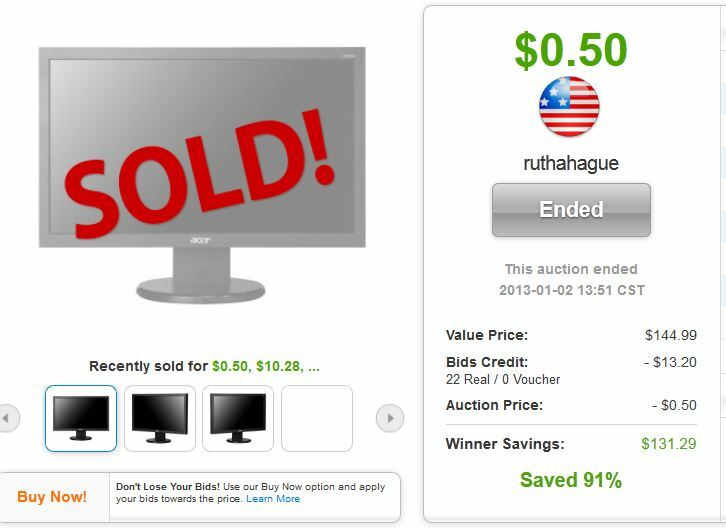 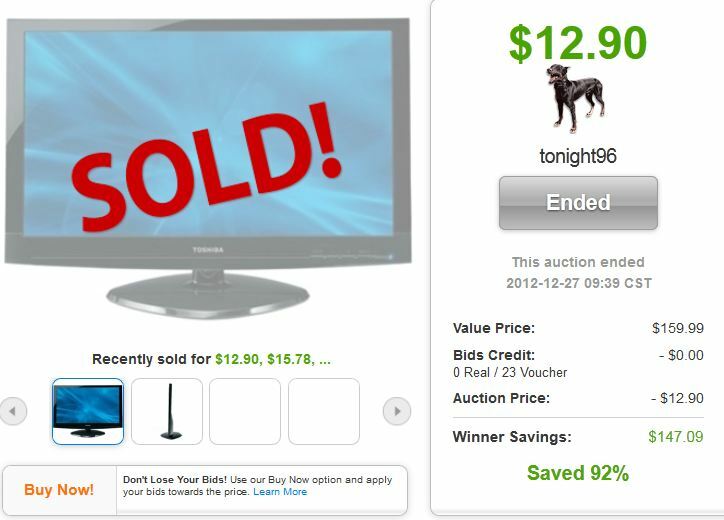 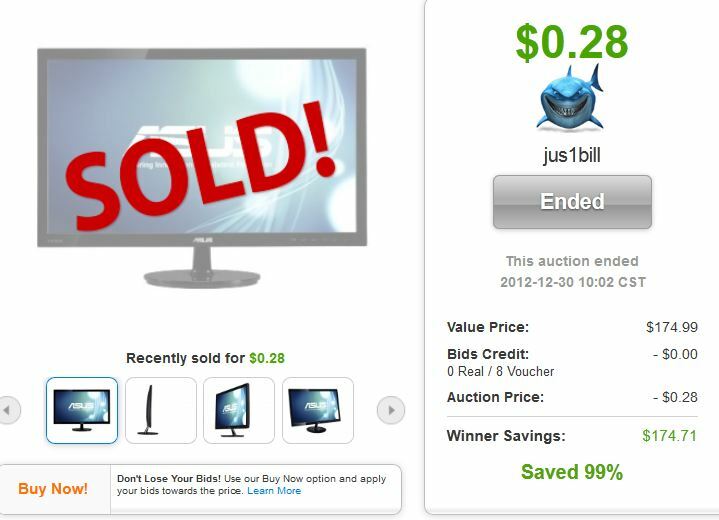 Seriously, people win auctions with one bid more often than you would think. 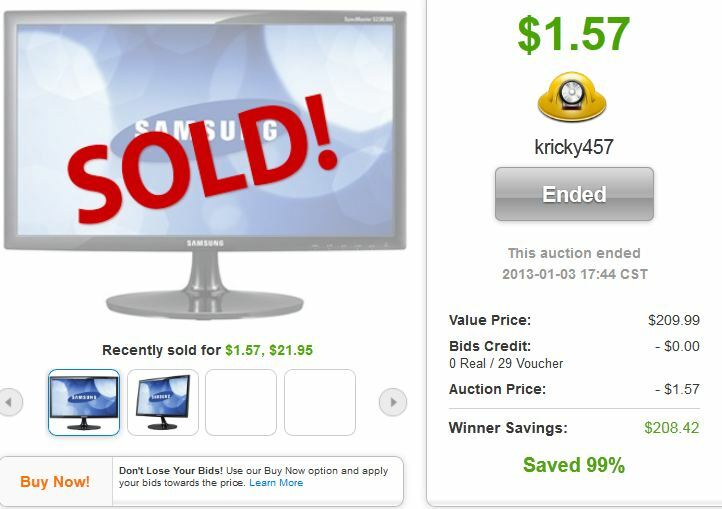 I just spent a little bit of time scoping out the ol’ QuiBids Electronics category and it didn’t take long to find a whole bunch of auctions that saved the winners 90% or better on the Buy Now price. 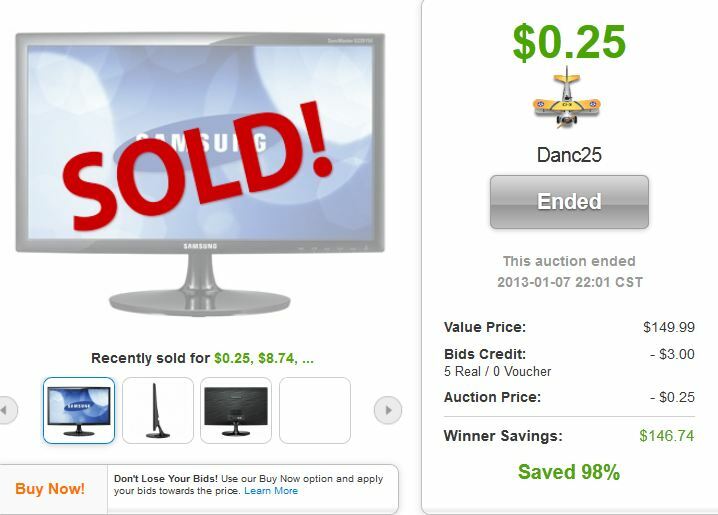 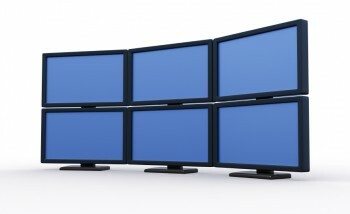 Casually estimating, I’d say that a little less than half of the monitors available at the QuiBids Store had auctions in their history that wound up in this range.